Does your farm store offer delivery/pickup? 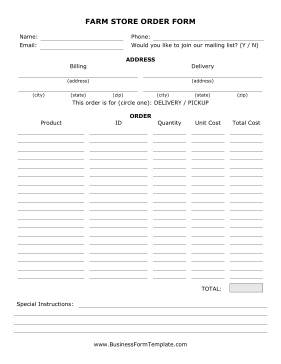 If so, this order form will give your customers an easy way to place their orders! Spaces are provided for delivery instructions and product codes.